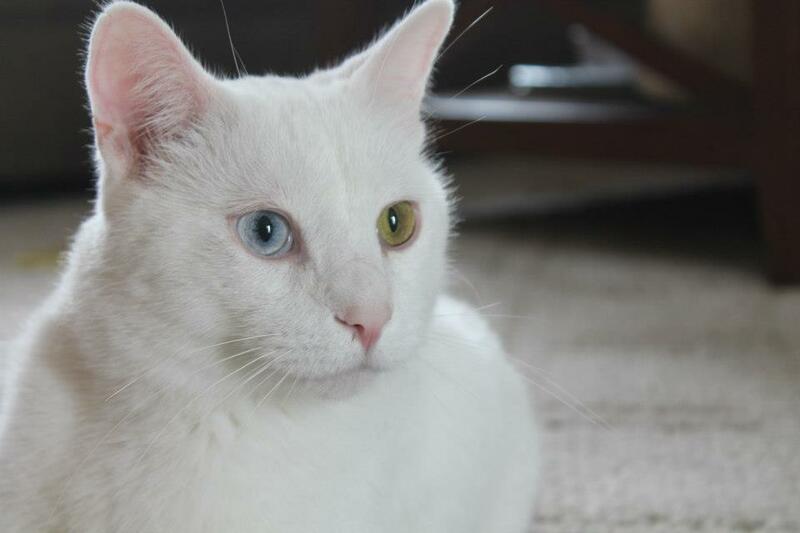 We adopted Blizzard (now known as Data) four years ago. He isn’t afraid to let you know when he doesn’t want to be pet so we warn people right away. Having said that, he loves people and will allow anyone to gaze upon his beauty, just don’t touch until allowed. It took him a little while to get comfortable, like getting used to a lively little dog. However, being bigger than the dog this didn’t take long. Soon his wonderful personality came out. He’s quirky, goofy, and loving. He often does summersaults when he’s playing. His favorite place to sleep is on my pillow. He gets the pillow and I get a tiny corner. He especially loves it when I curl my arm around him so he can lay his head on my arm and almost touch his nose to mine. Thank you so much for rescuing him and others. I couldn’t imagine our home without him.